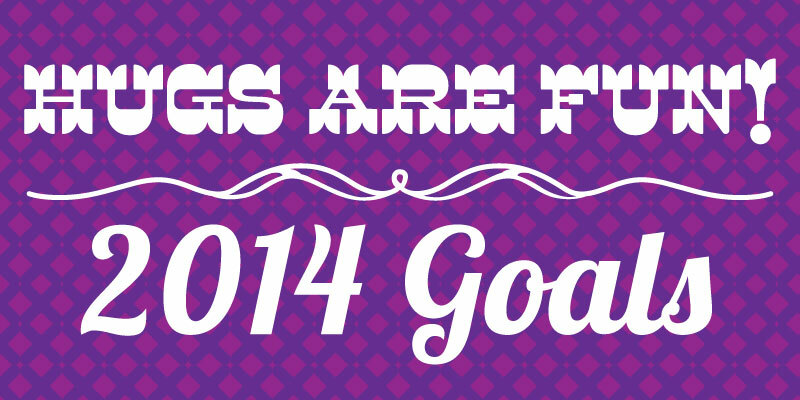 I’ve been thinking about goals for 2014 for awhile now, and Nicole from Mercantile 519 made a post of hers, so I decided to make mine public too. I mentioned this goal in a recent blog post. I’m currently cataloging all of the colors I have so I can get the colors I’m missing. I did a craft show last year, that’s actually what gave me the push to get my Etsy shop going and get my site up. But unfortunately the show itself was small and not well attended. This year I’d really like to do some more craft shows, and I’d also like to do an art show. I’m setting the goal low with only one craft show, but ideally I’d like to do more. I have been talking with someone about a show this year, hopefully it happens! There are a lot of crafts I’ve wanted to try and never get around to. This year I’m determined to branch out more with my crafting. I cross stitch a lot because it’s familiar and easy, but I want to move out of my safe zone and try new things. The big things I really want to do this year – needle felting, weaving, and quilting! I finished all the granny squares and still haven’t even made any attempt to begin the joining process. But 2014 is the year of completed blankets. I’m going to finish both the blanket for Evie and the one I started for Mira. I’ve been pretty pleased with the response people have had towards my patterns and I definitely want to start creating more of them. I will continue to release a free pattern every month, but I also want to start releasing a paid one at least as often. Establish more of a blogging schedule with more regular features. I did one Try it Tuesday feature and I really love the concept, so I would definitely like to do more. I just got swept up in all of my Christmas chaos that I haven’t done another. For 2014 I really want to start adopting a few regular features such as this. I kept Free Pattern Friday going, and I definitely intend on continuing that in the new year. We’ll see what else I can come up with. I went to school for illustration, but I have totally gotten out of the habit of drawing. One of the blog features I plan to implement is a weekly showing of my sketchbook. I’m hoping that by committing to showing off my drawings it will keep me focused on drawing more. I love the space flash cards I’ve made and I definitely want to complete the set. We’ve gotten a lot of cool prints and artwork that haven’t gotten hung up yet. Some have been framed, some haven’t. This year I declare that things will get hung up. I especially want to finish hanging things in Evie’s room so I can finally show off all the cool stuff in there! Thanks Julie, you too. Most of my goals are with creativity, but I definitely plan on some health and wellness ones as well, so I’ll be following your blog. 🙂 Here’s to a great year! Awesome! I look forward to seeing how you do! I am going to be doing a Monthly Milestones link-up on my Fibro, Fit and Fab! blog, so hopefully you can join in the fun there and also see how I’m doing. I will definitely be a cheerleader for you! 🙂 Going to be following you for sure!